There was a time circa 1999 where the idea of wearing skinny jeans or pants was actually laughable. At that time skinny jeans were just as bad as Mom Jeans on SNL. Now, for the most part, it’s all I wear besides boyfriend jeans. I LOVE the way a skinny pant elongates legs. I love how a beautiful heel looks with them. I love that you can easily roll them. I love how boots seamlessly glide over them without bunching. Nowadays you can get just about any pant in a skinny leg; they come in colors, in leather, torn, patched and coated- the options are endless. For the past few years the idea of sporting a boot cut or bell bottom jean was hilarious! Well open any fashion magazine today and guess what? The bell is back with a vengeance. As is the boot cut. Isn’t the cycle of fashion crazy? It’s time to embrace the bell bottom again. 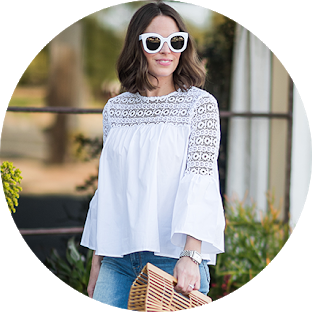 The great thing about this cut is that you can wear a flowy, blowsy tunic top to channel your inner 70’s maven or you can wear a more fitted top. Both styles of tops will work with this pant. The key here is the LENGTH and I cannot stress this enough. Wear these babies too short and you run the risk of looking like you’re waiting for the flood to rush in. Not cute! They should almost skim the ground so keep this in mind when selecting your shoe. I suggest a pointy toe heel, platform wedge or platform heel with these pants but again, your shoes should barely be peeking out so for once, the shoe choice is not AS important! 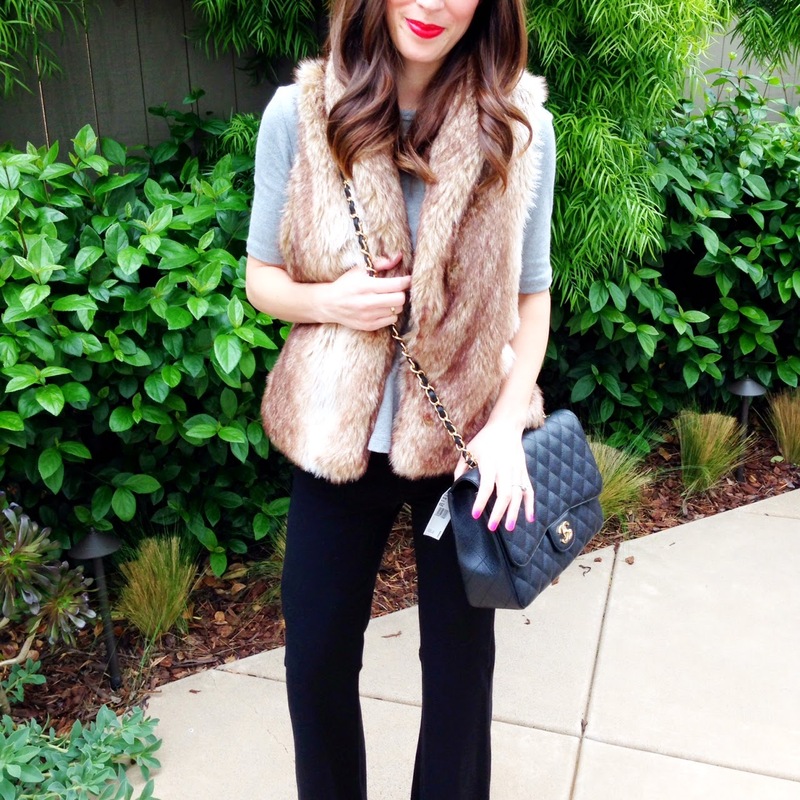 I paired these black bell bottoms and this gray peplum top with a fur vest. This added a layering element that also provided some warmth, however I strongly debated a leather bomber or fitted military green jacket as well. Either way, I felt very ‘Rachel Zoe’ with this look and have decided every once in a while to hang up my favored skinnies in honor of the classic bell bottom. 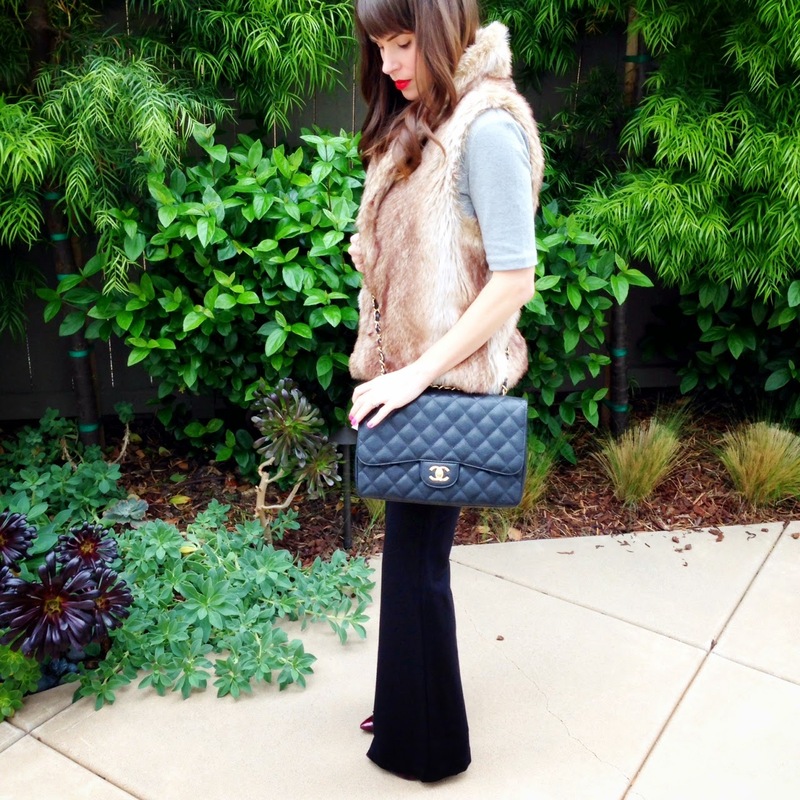 Will you give bell bottoms another go around? Let me know! As always, thank you so much for reading! Amazing and stylish cute look! Ladies Laptop Bags with the preference of design of your choice.